From a "not too far from home Linnyland painting adventure". "The Christmas Day Miracle Walk 2014"
is the "Christmas Day Miracle Walk". unseasonably warm - miracle number one! 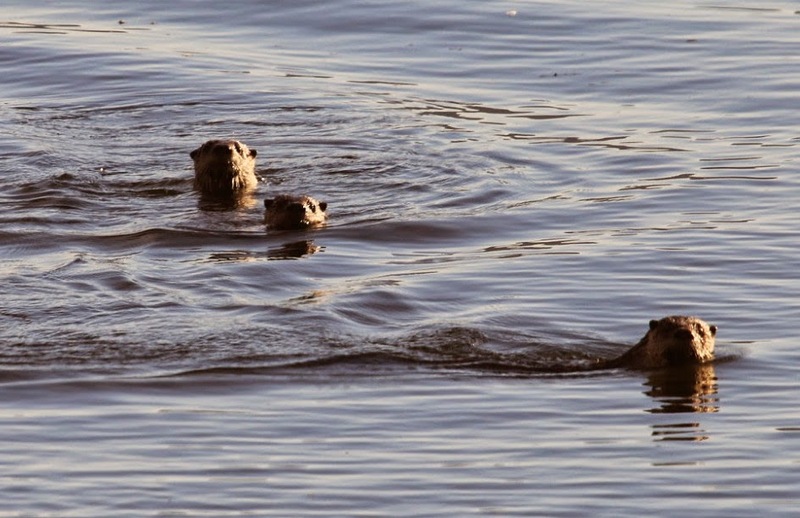 we spy a trio of otters just off shore. with a large crab in it's mouth. swim around the point and out of sight. to the sea and starts to search and call for the other two. and still the other two otters are no where in sight. it's calls louder and louder. the three enjoy a playful reunion before they swim away. Another Christmas, another magical CDMW! Hope yours was magical, too! 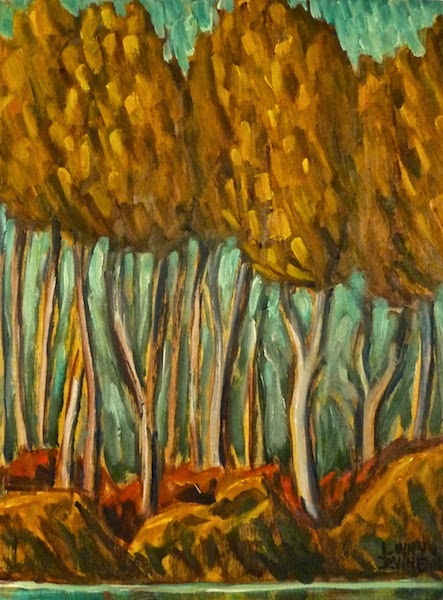 is pleased to be representing this great Canadian artist." 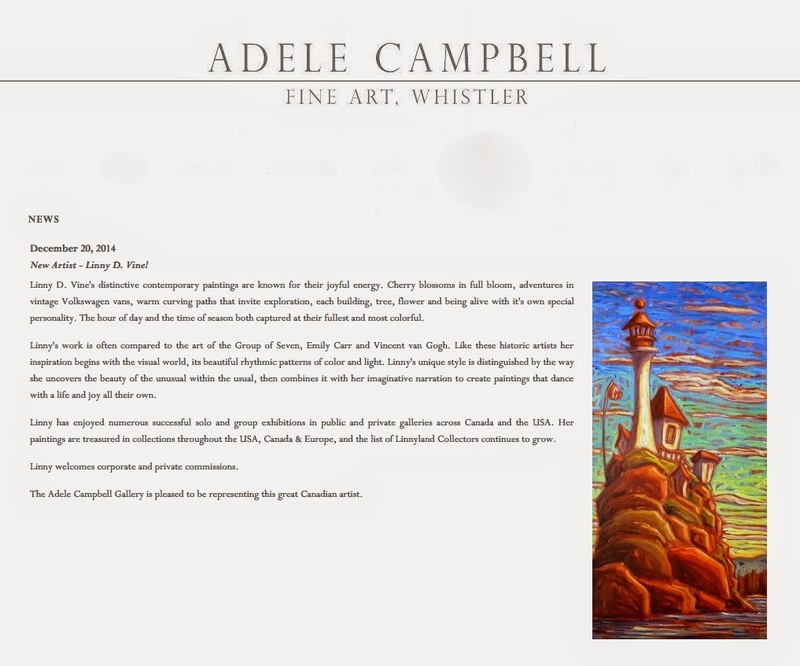 Thank-you for the warm welcome Adele Campbell Fine Art Gallery! 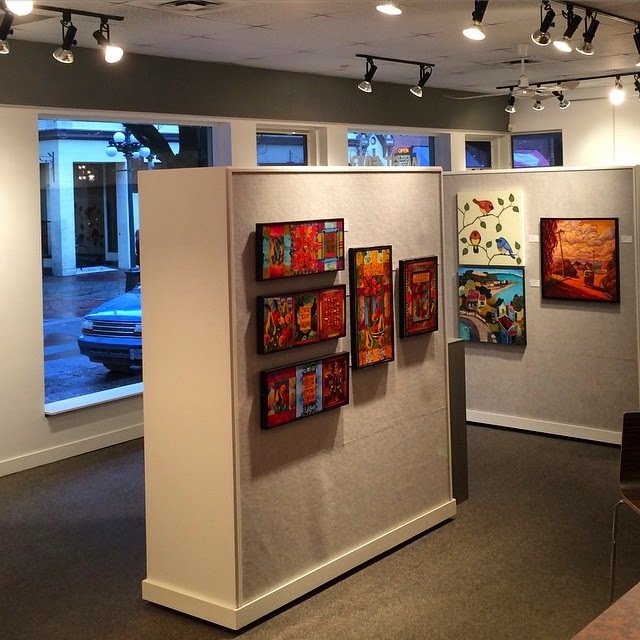 West End Gallery's Walls of Warm and "Wonder-fulls"! at Tranquille Farm, Kamloops BC Canada. an exotic looking, visual WOW bird! Merry merry and happy healthy 2015! "HaPpY HaPpY Winter Solstice & HaPpY RETURN of the LIGHT! & HaPpY RETURN of the LIGHT! 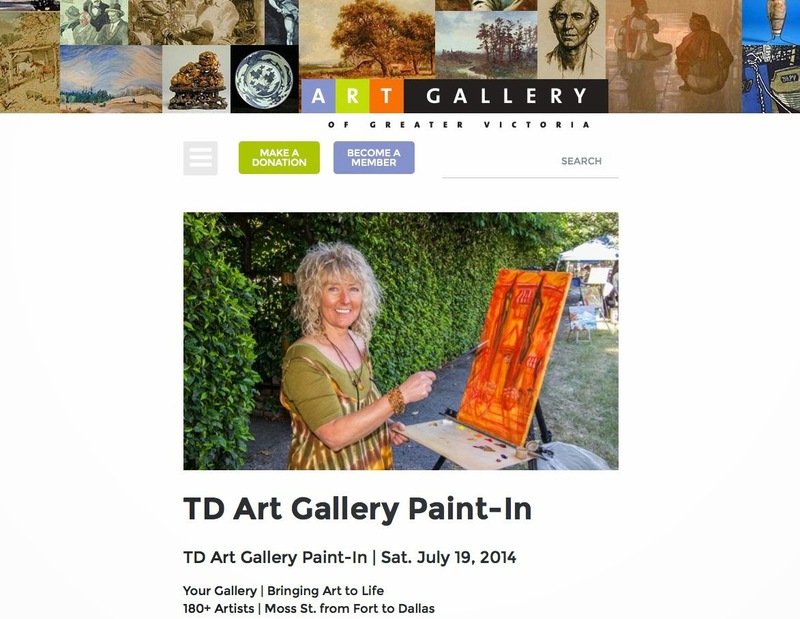 "Robert Amos, Victoria art writer, includes Linny D. Vine painting on Christmas Wish List!" 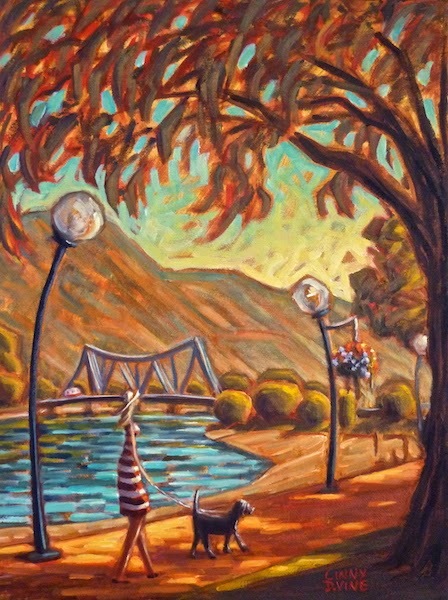 Tickled to be on the "Christmas Wish List "
of Victoria Art Writer, Robert Amos! 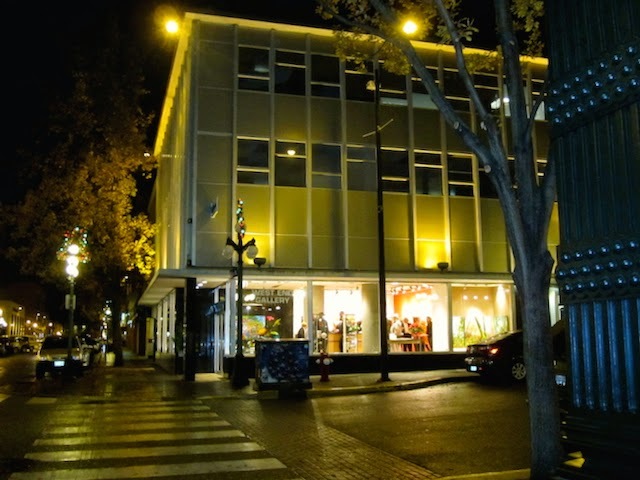 (1203 Broad St,. 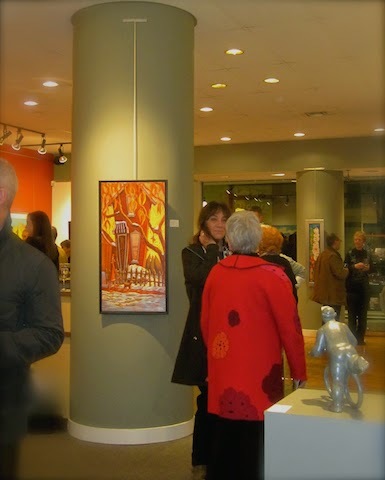 250-388-0009, westendgallery.com). of flowers by Claude A. Simard of Quebec. Happy Full Cold Moon or Happy Full Cold Nights Moon!! Another from the Linnyland imagined interiors/exteriors adventure. 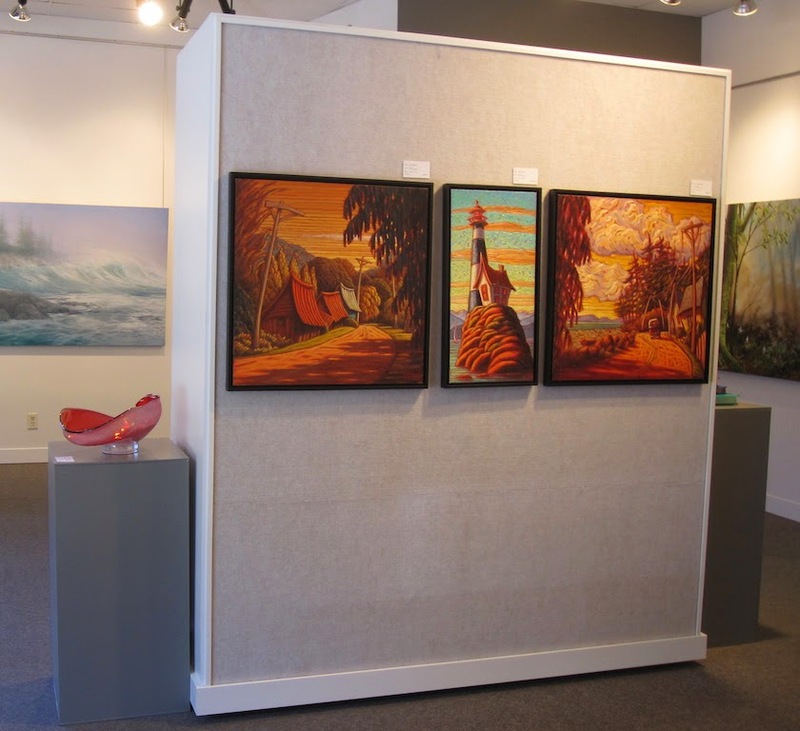 West End Gallery sparkles with 20th Anniversary Show! 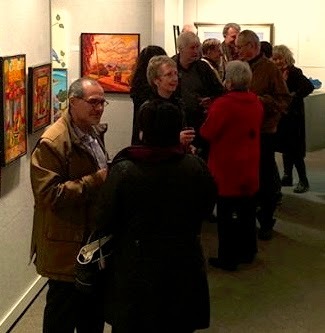 The Exhibition "kick off" with a private party on Thursday night. for a sunshiny week for everyone! at the Victoria International (YYJ) Airport - 2013.
at Swan Lake last week". 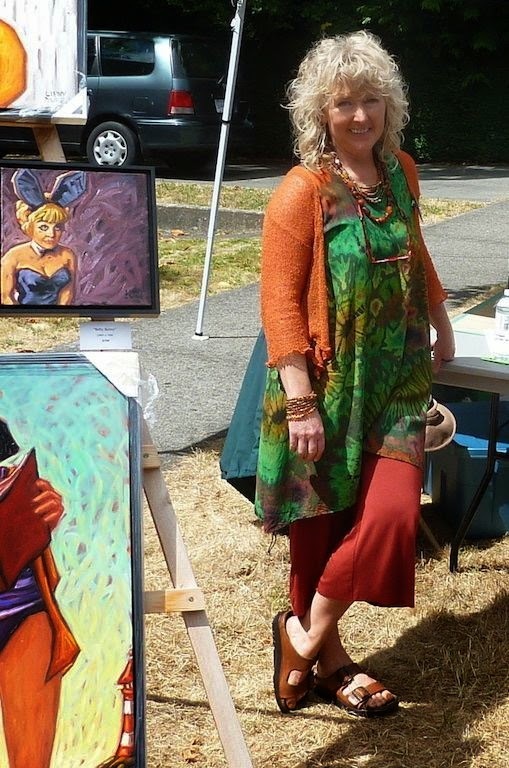 another Saltspring/Salt Spring Linnyland painting adventure. 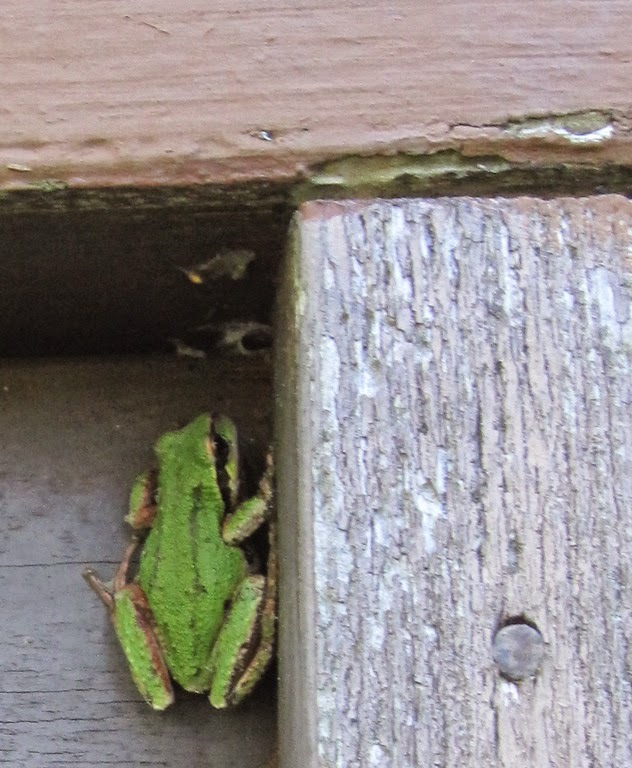 While I painted a small audience gradually gathered; first a woman visiting SSI on her annual writer's retreat, then one popsicle eating child, then two more, then a father and a sculptor sprawled on the ground next to the easel, and finally a neighbour and her children joined them - and me. May you and your gathering enjoy. 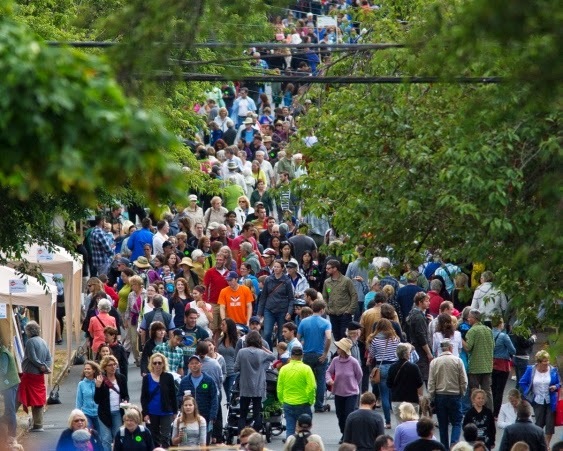 (sometimes still known as the Moss Street Paint-In). Each year the "Let's all Go to Linnyland demonstration painting"
"somewhere along Moss Street Linnyland loooonnng and leaner". I could see a little blue cabin that I thought I'd like to paint. 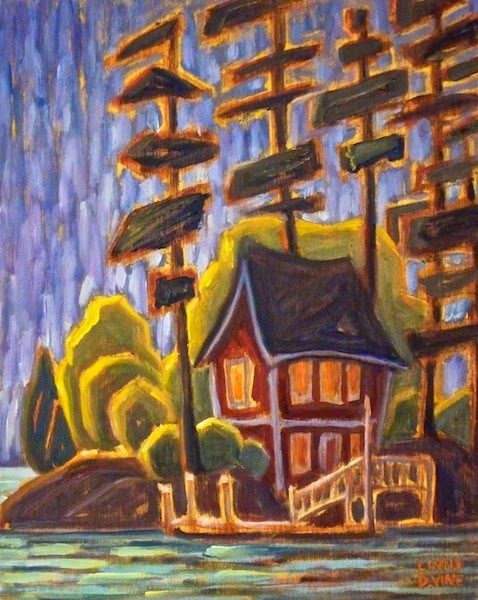 straight out of Linnyland umbrellas type of painting". "NO RED - WHY, LINNY, WHY?!!" at the (almost) very end of summer. Wolf Brewing Company's "Black & Tan and the Linnyland VW Van"!! Remember, don't drink and drive OR drink and dive. 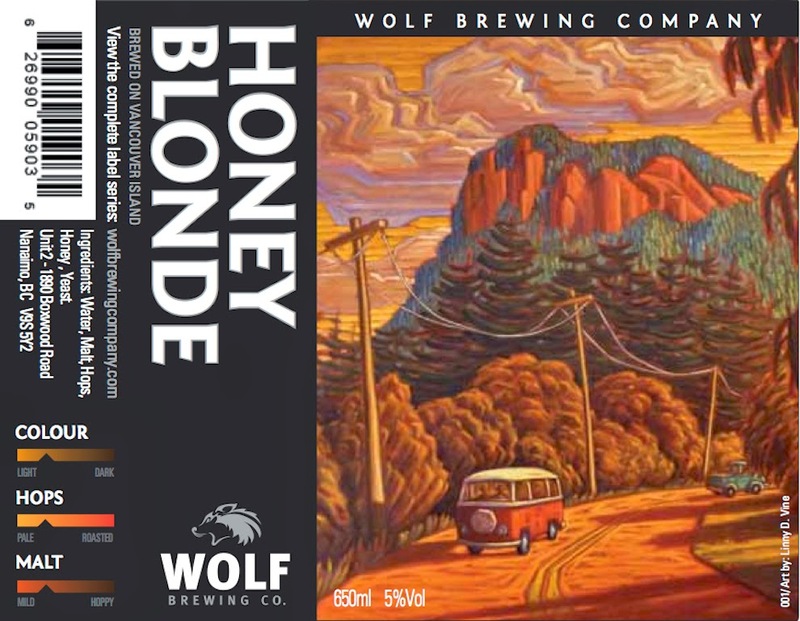 "A New Adventure", Wolf Brewing Company! remembrance of a special daughter. for new Linnyland Collectors, Jim and Alice. "It's even better than I thought it would be!" more complex every time we look at it. Turner's - and a Linnyland classic! A mini Linny (from Linnyland)! 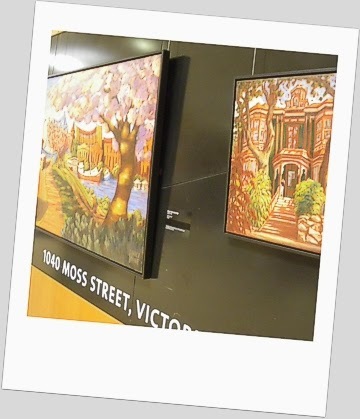 Another Art Gallery of Greater Victoria Paint-In - Another Moss Street Miracle!! and many a magical moment in Linnyland! and the great sponsors & supporters, too!! for 14 blocks from Fort Street to Dallas Road. 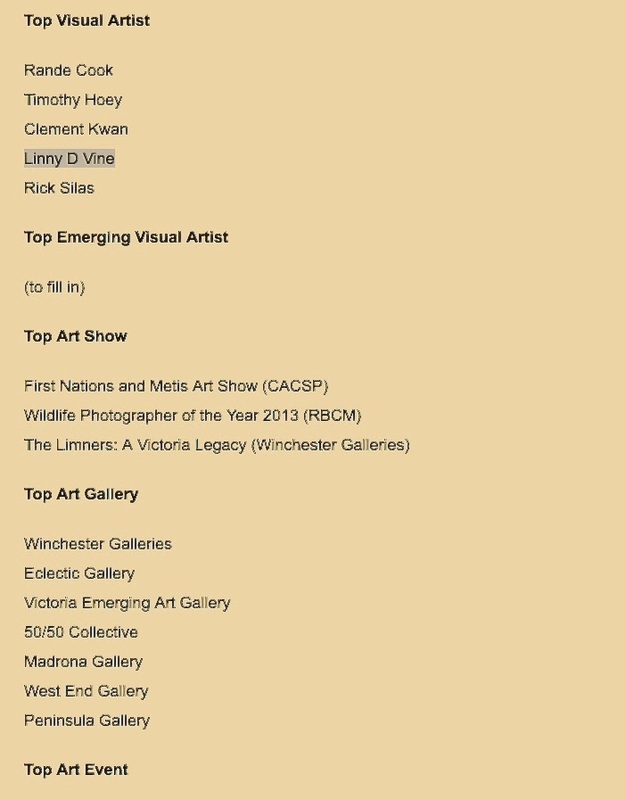 the Art Gallery of Greater Victoria and many sponsors and supporters. the Moss Street Miracle, once again! Linny visits with a new Linnyland Collector! visited each artist with a gift of her own beautiful art. 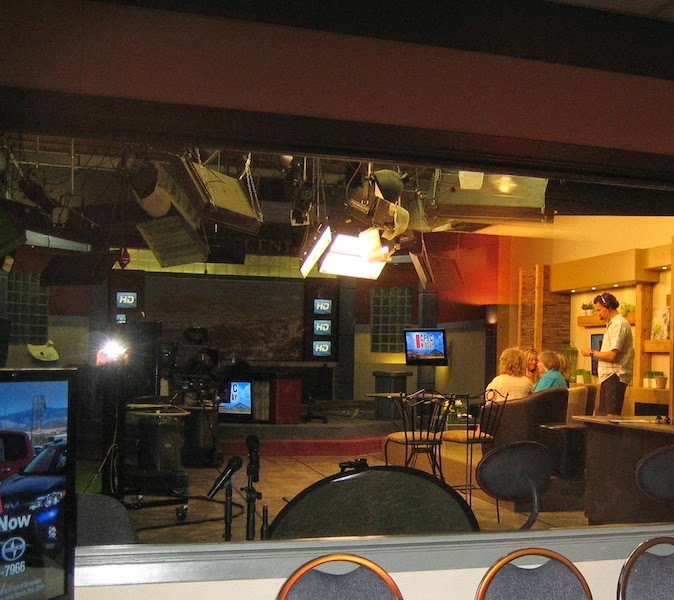 prior to my interview with Kamloops CFJC TV's Susan Edgell. HaPpY USA DAY from LINNYLAND! !